1 thomas the tank engine jumbo pinata. Everyone will recognize this friendly face when Thomas the Tank Engine pulls into your party. 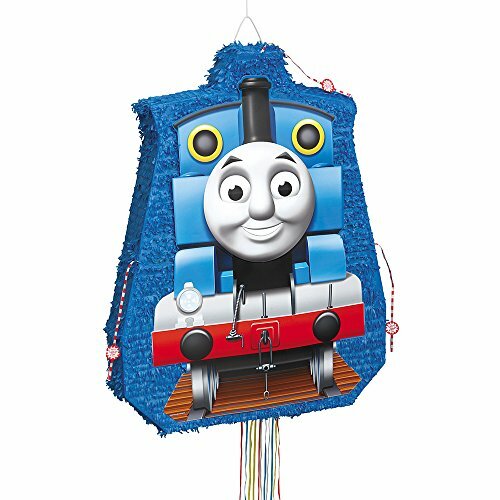 A new, safe twist on the classic party game, the Thomas the Train Pinata has 12 strings for guests to pull, only one of which will release the goodies! This jumbo pinata doubles as both a super-sized party room decoration and everyone’s favorite party game activity. Jumbo Pinata measures 36″ x 28″.